On behalf of American consumers, we’re concerned about Verizon’s actions and are looking into the matter. By no means does this assure us that they will try to stop Verizon from charging you the $2 convenience fee. It does however give us a little bit of hope. 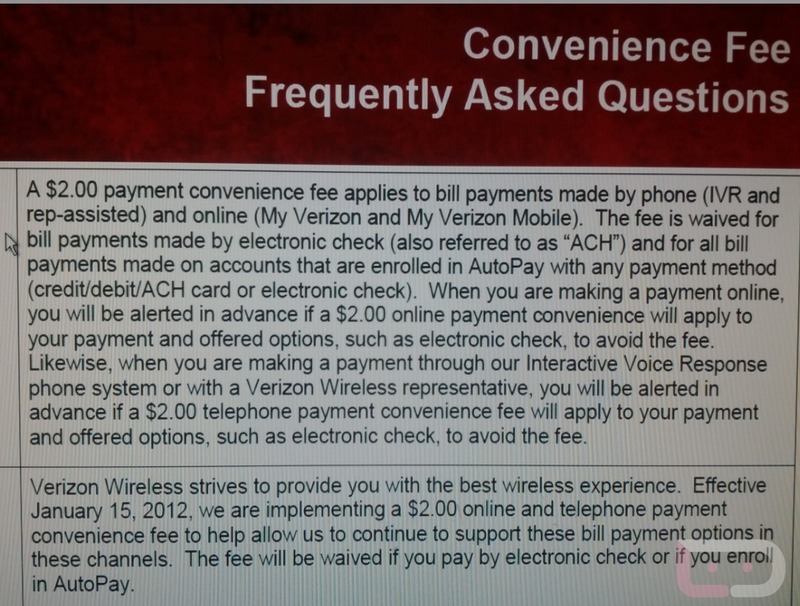 Again, there are options available for customers to avoid the fee, but as you will see from yesterday’s poll, the majority of folks would like to continue paying their bill as a one time transaction. And so you are aware, a Change.org petition has been started.